What shall we focus on today? There is one little cemetery in the town, where only one person is buried. The Woods Inn is supposedly haunted by past owners. And there is the Arrowhead Hotel, which no longer exists but was where Chester Gillette was arrested for the murder of his pregnant girlfriend Grace Brown. I decided to take a trip to Inlet to check things out for myself and I stumbled upon the lesser-known story of Jasper Day. 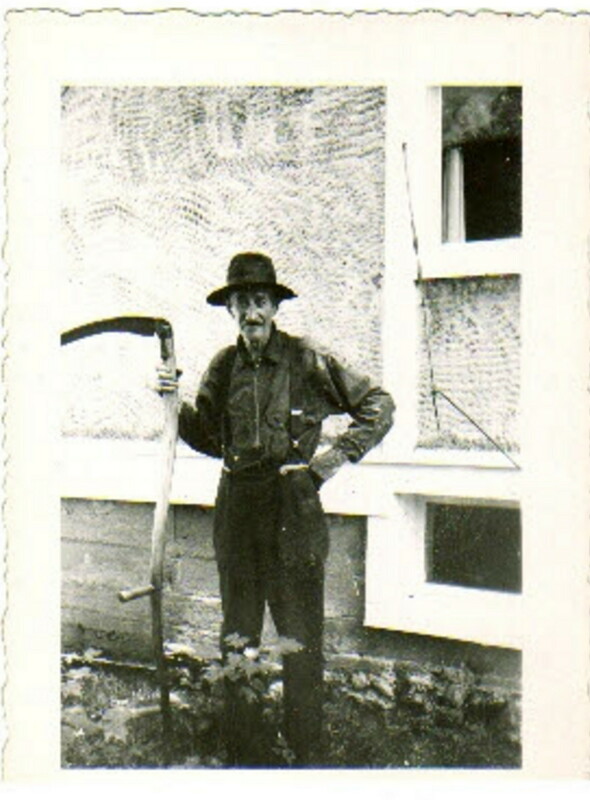 Jasper Day was a hermit who lived in Inlet, close to the 5th Lake carry, on what is now called Jasper Day Trail. Story has it that he haunts the bridge that crosses over the outlet from 5th Lake to 6th Lake, because, as one local put it, "Where else would he go?" Not being a believer, I decided to go take a look and see what the fuss was about. Let me tell you, I am glad I didn't go there at night — and especially not alone! As I got out of my car and started walking, it seemed like any other trail. Fairly quickly I reached where the trail split. To the right was a carry in to 5th lake, to the left an old outhouse, and straight ahead the trail continued on to a beat-up old bridge. Along the way you can see the foundations of the old buildings that used to exist back there. If you look closely, some of the boards seem to be coming up on the bottom of the bridge. The bridge seemed fairly old, but was definitely safe enough to walk across. You know that feeling you get when someone in a crowded room is looking at you? You can't see them, but you just know their eyes are locked on you. That is the feeling I got the instant I walked over the bridge. It made me jump because I knew I was out there alone. I looked around quickly, but there wasn't anyone there. I desperately wanted to turn back, but I was on a mission and I wasn't far from my destination. I continued on across the bridge and a little way up the trail the feeling seemed to subside. I could tell I was alone again. I stopped for a moment to grab some pictures from the other side of the bridge and that's when I noticed something. Off to the side, just up the hill a little bit there was something there. I didn't want to — but I HAD to check it out. So I made my way up into the woods, off the trail. There I found what seems to remain of Jasper Day's shack. There was an old stove, lots of buried and bent metal, and maybe the springs of an old mattress buried and grown into the mossy ground. I could feel the hair on the back of my neck standing. I got the overwhelming feeling that I shouldn't be here. As quick as I could, I snapped a few photos and booked it out of there. Already on edge, the leaf strewn forest floor was not my friend. I kept hearing things moving, despite the fact that it was oddly windless, and I swear, a few times I thought I saw a shadowy figure half-hidden behind the trees. To say I was freaked out would be an understatement! I made my way back down the trail as quickly as I could, being careful not to trip over the rocks and branches hidden by the blanket of leaves. I finally made it to the bridge and couldn't get across it fast enough. As soon as I was on the other side it was like a weight had been lifted. Don't get me wrong. I was still freaked out, but the goosebumps had disappeared and I truly felt alone. Luckily, I wasn't far from the road, and I had never been happier to see my car. Come to Inlet to see for yourself! Maybe visit where the Arrowhead Hotel used to stand, stop by The Woods Inn for a little lunch, or visit one of the other great shops along the way. But don't forget to pay Jasper a little visit!